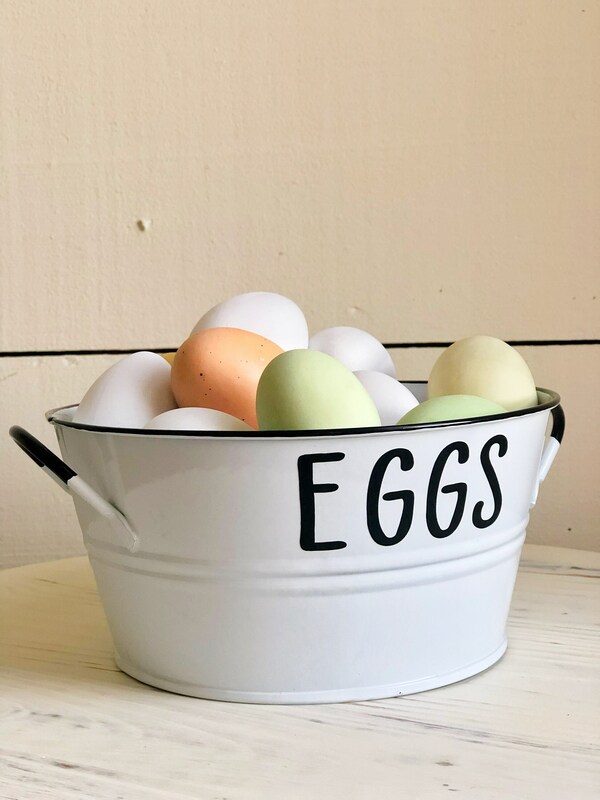 Farmhouse style black and white metal EGGS tub. 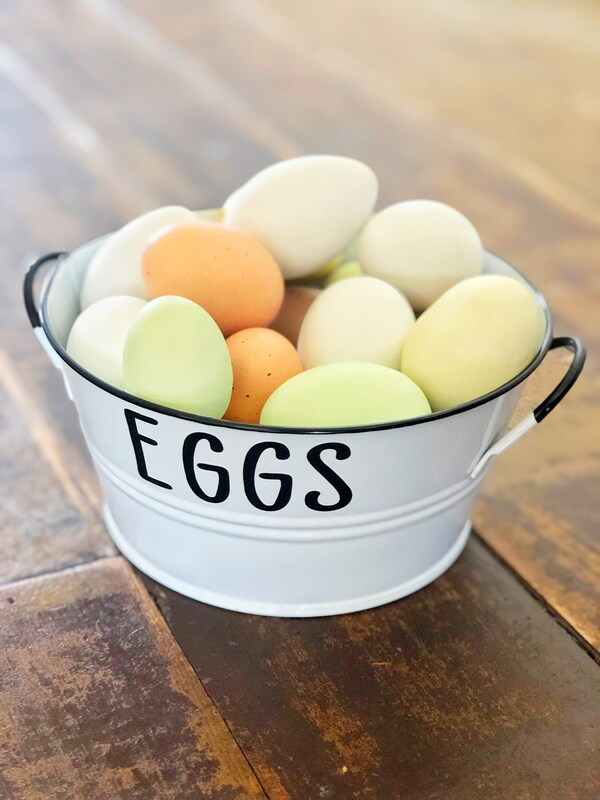 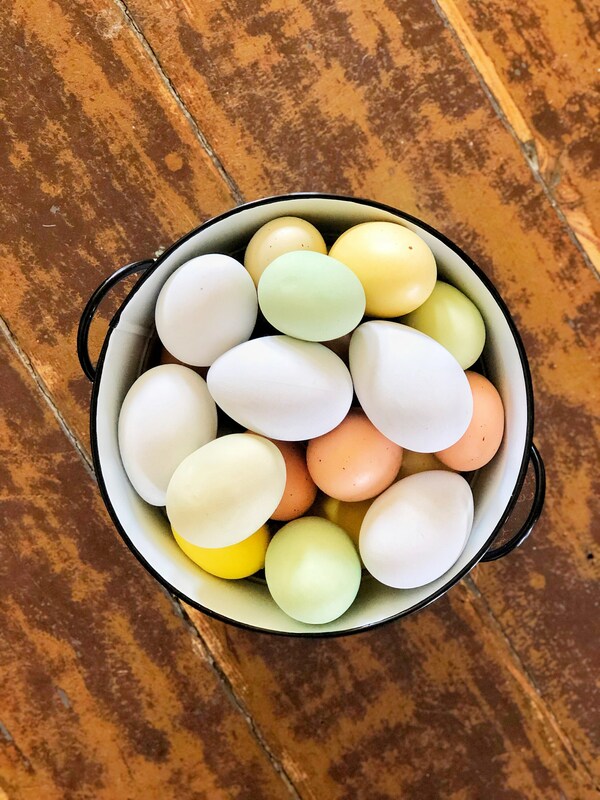 Perfect to use in your fridge to hold eggs or around your home for decor. 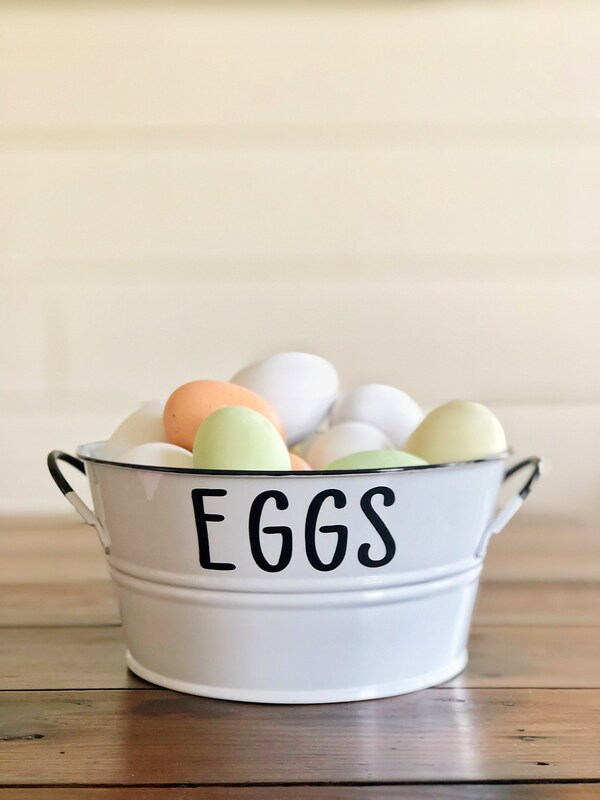 EGGS is applied using Black vinyl.